Sooner or later time arrives when it is necessary to introduce solid foods to a baby. But how should the mother determine this moment? How to make the transition from breast milk to solids easily and not bring harm to your baby? This article is going to throw some light upon these questions. The transition to solid foods is one of the milestones in babyhood. Starting the process, you should make sure your child is ready for it. 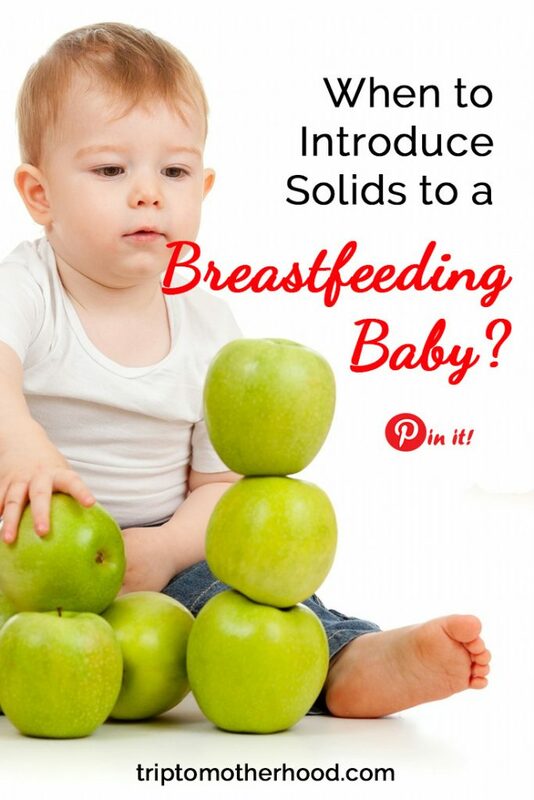 Why is it so important to know when it’s better to introduce solids for a baby? The statistics show that the baby with the solids in the menu tends to refuse from breastfeeding altogether thus depriving oneself of healthy antibodies contained in the breast milk. Consequently, the baby is likely inclined to get sick more often. Many specialists point out the importance of exclusive breastfeeding after the child is born. It was calculated that there are three million of germ-killing cells in a teaspoon of breast milk. Can you imagine that? Are you ready to refuse from such exceptional natural protection for your baby? It does not matter how much milk you produce. Such support is very valuable even if you do not have sufficient milk supply. In case you have enough, it is advised not to mix breast milk with anything until the baby is mature enough. The baby does not need solids after birth. Such food brings harm to the digestive tract and the whole organism because the gut is still immature. In accordance with the recommendation of the American Academy of Pediatrics, the WHO and others, the baby should get nothing but breast milk in the course of the first 6 months. Do not hurry with the introduction of solids to your baby’s menu until he/she reaches 6 months of age. The breast milk gives immunity to the baby thus protecting the one throughout the lactation period. The baby develops good bacteria in the gut and the baby is less prone to get sick. Many illnesses are less likely to occur thanks to antibodies contained in the breast milk. If you want to lower the risk of SIDS, allergy, respiratory tract diseases, ear infections and other undesirable conditions you should choose exclusive breastfeeding for half a year. Also, you should stick to exclusive breastfeeding if you want to decrease the risk of obesity in your baby in the future. What is immature or open gut? The immature gut differs from the mature one, which is able to handle the foods easier without unpleasant circumstances such as gas, digestive upsets, constipation, and other unpleasant gut-related symptoms. The infant is not able to digest fats, complex carbohydrates, protein, while the breast milk includes the enzymes alleviating the process. In this way, the breast milk helps to prepare the organism for the solids. The baby from 4 to 6 months old has an open gut, which is not mature enough for the consumption of solids. On the one hand, it is great for a baby to have an open gut as all antibodies from breast milk get into the bloodstream without delay. It helps the baby to grow faster and fight infections. But on the other hand, this is rather dangerous when other foods are consumed. The baby may develop allergies. Some pathogens can cause illnesses as they may penetrate through the open gut easily. The transition from suckling to sucking takes time and all clinical reports prove it. It is hard for a baby to manage semi-solids or solids until 6 months old. It means that the baby hasn’t reached that stage of development yet. Why introduce the solids to your baby’s menu? It is advised to introduce solids during breastfeeding in order to provide a richer menu for your little one. It should not be a substitute for breast milk, which is still a very useful source of nutrients. The solids are needed to make your child experience some other kinds of food and make the nutrition more versatile. The other benefit of eating solids for a baby is the improvement of hand and eye coordination thanks to feeding with fingers. Keep in mind though that it is advised to breastfeed on-demand during the first year. Such feeding sessions help to provide a good milk supply. It can be so that the baby refuses to consume the solids. If that happens, you should make a break and then try to do it again in several days. It is also recommended to offer something different during the next try. The switch to the solids should not be abrupt. It should be introduced gradually but the breastfeeding should remain at the same level. The matter is, your baby is growing and needs more food. At first, it is enough to provide only several bites per day. But the amount of solid food should be increased with time. It is advised not to introduce the solids up to 4 months old. The breast milk is the best food for this period and nothing else should complement it. The same is true for the period from 4 to 6 months old. You can also add expressed milk and water to the menu but the amount should be moderate (2 ounces per day maximum). In case the solids are introduced for a baby over 6 months old, it should be done once a day or even more seldom than that, for instance, once per week. You should not refuse from breastfeeding except for the circumstances when you have to wean. It is better to give water to the baby from the sippy cup. You should be very attentive to the way your baby feels when something new is introduced. It is not that difficult in case the solid foods are provided for self-feeding. However, the portion of the solids should not be high. A couple of meals per day would be enough for a 6-month-old baby. Juice is one of the products provided for a baby when additional food is introduced. Let your baby sip it from the cup, but do not forget to dilute it with water. The daily amount of diluted juice should not exceed 4 ounces. When the baby turns 9 months old, the mom should start to increase the amount of the solids. The overall amount of the calories consumed from solid foods should not exceed 25% in a 1-year-old baby. 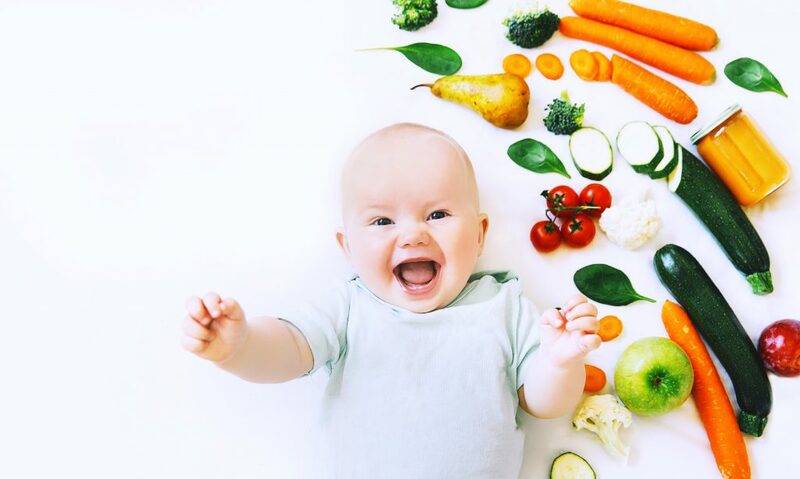 With solids in the menu or not, it is highly recommended to nurse during the first year of life unless some circumstances make you start weaning. You should make sure that the solids complement nutrition with breastmilk. Such food should not be a substitute. What you should really care about is to make the breast milk the main source of nutrition. If you want to avoid early weaning, then you should exclude a big amount of solids from your baby’s diet. Not all babies need to be fed. They want to take the solids on their own. They take foods they like right off the table. Experienced mothers recommend making finger foods for the baby over 1 year old. It is good to make an assortment of different foods and provide it on a tray so that the baby could pick the snacks he likes best. The tray is available throughout the day so the toddler can decide when to eat the snack. Why is it so important to breastfeed before you give solids? It is not right to start with solids, as babies do not consume enough milk later. If you want to make the introduction of the solids effective, it is better to give such food after breastfeeding, let’s say, in an hour or so. In case you nursed the baby, you can continue feeding them providing solid food for the baby until the child stops eating. When the baby is full, he is easily distracted from eating. The baby closes his mouth or spits out the food, thus demonstrating a lack of hunger. This type of “meal planning” helps to balance the right balance between the amount of solids and breast milk. And keeps mammas sanity, since she doesn’t have to worry any longer about how much solids to give to her baby. What if the baby refuses from solids? You should not be pushy if this happens. The babies may not be fully prepared for such kind of food and need more time to get their digestive system ready for it. One of the factors that can help you understand if your baby needs solids is his weight. In case your child gains healthy weight, there is nothing to worry about. It shows that the organism does well with breast milk and does not need any additional sources of energy. This is the best indicator of his growth and health. The mother, in this case, should just offer the solids for the baby from time to time until the right time comes. If you see that the baby does not have any interest in such food, this is not a problem. In case the baby eats the introduced food just a little, this is not problematic as well. Never use pressure to make your child eat what you think is necessary. Actually, there is no one rule for all children because it depends on the readiness of the digestive tract for food of this kind. Some children develop faster than others so it can be hard to assess who is mature enough for solids. There are no signs showing maturity of inner organs but the research shows that it happens most often between 6 and 8 months. the baby is able to sit effortlessly without help. The baby wants to chew. The tongue-thrust reflex has disappeared and the baby does not push out solid foods from the mouth. The child grabs solid food on his own. Increased demand for breastfeeding when the baby is not ill and does not suffer from pain. There is no one single sign, as a rule. 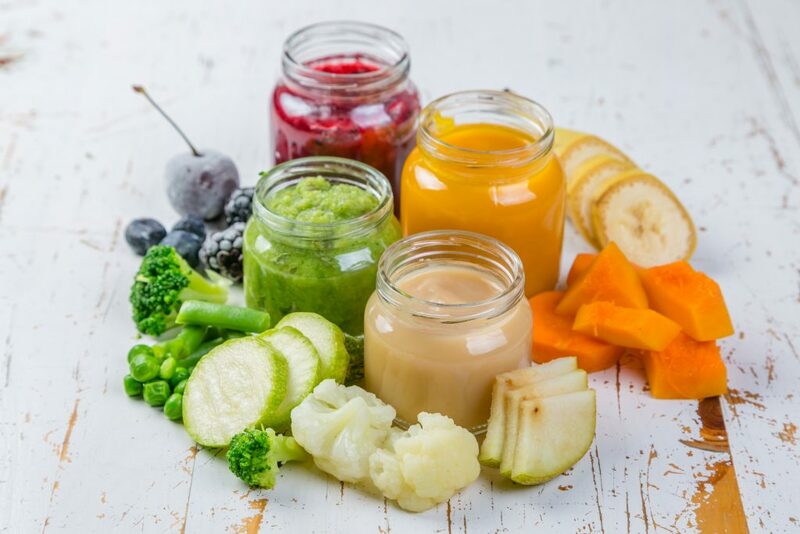 If you see the signs of developmental changes pointed above, then the combination of all these factors can demonstrate the readiness for solids. Being a mother I know how challenging the parenting is. Motherhood is a full-time job with a busy schedule. The major challenges I have dealt with concerns the first year of my baby’s life and the breastfeeding, in particular. I know how difficult it is for the young moms to care for the baby not having enough time for themselves. It seems that your life does not belong to you any longer as you try to adjust to new role in life. I am glad to share some things and help young moms to learn something new.